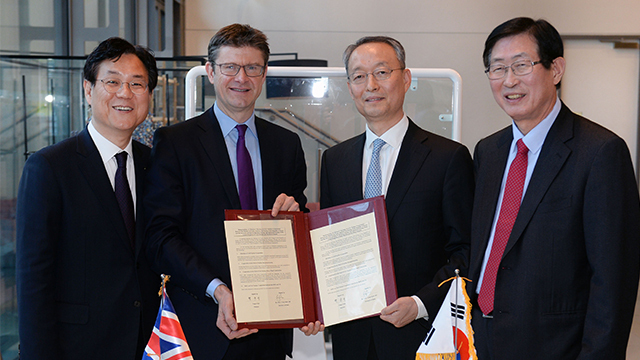 On Wednesday the South Korean government scurried to calm escalating debate over the latest setback faced by the state-run Korea Electric Power Corporation in acquiring a nuclear power plant construction project in the UK. It was revealed that Kepco lost its status as the preferred bidder to obtain Toshiba’s 100 percent stake in the NuGen nuclear power plant project last month, as the Japanese company felt burdened by prolonged negotiations and high operating cost, in order to open doors to alternative buyers. Kepco, which beat out rivals in such countries as China to be selected as the preferred bidder in December, had initially planned to sign a takeover contract within the first half of this year. “We will actively push for a negotiation to achieve mutual benefits of the UK’s stable supply of energy, Toshiba’s management stability and Korean nuclear industry’s jumping into overseas,” said Moon Shin-hak, chief of the energy ministry’s nuclear power plant industry division in a press briefing. The project, valued at $19 billion, involves building nuclear power stations in Moorside Cumbria, northwest England, to produce electricity with 3.4 gigawatts of nuclear capacity by 2024. “But the recent British government’s decision to change profit models for the project has delayed it further, as the British government and Korea need to renegotiate on the profit model issue,” said a government official. 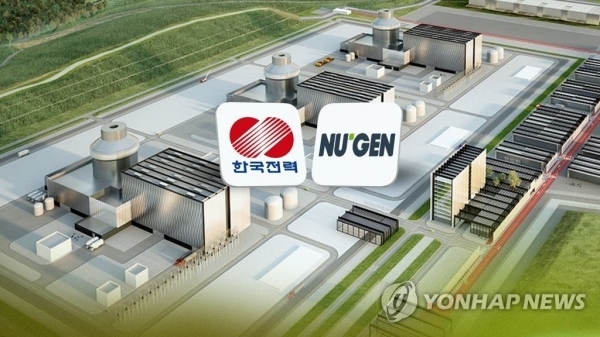 In June, the British government had changed the profit model for the NuGen project, prompting the need for renegotiation. Toshiba has been seeking to sell off the NuGen project as early as possible after suffering huge losses from its beleaguered US nuclear unit Westinghouse. The Korean government maintained optimism on the purchase, with Moon saying the essence of the negotiations has not changed. Despite the government’s efforts to downplay Toshiba’s decision, opposition politicians and some experts raised suspicions that the delay for Kepco may have been affected by the Korean government’s anti-nuclear campaign. From the British perspective, it has to find an operator which can manage the nuclear power plant for the long-term, but an anti-nuclear Korea may not be suitable, according to industry watchers. The nation’s main opposition Liberty Korea Party said Tuesday that Korea needs to re-examine its anti-nuclear campaign.